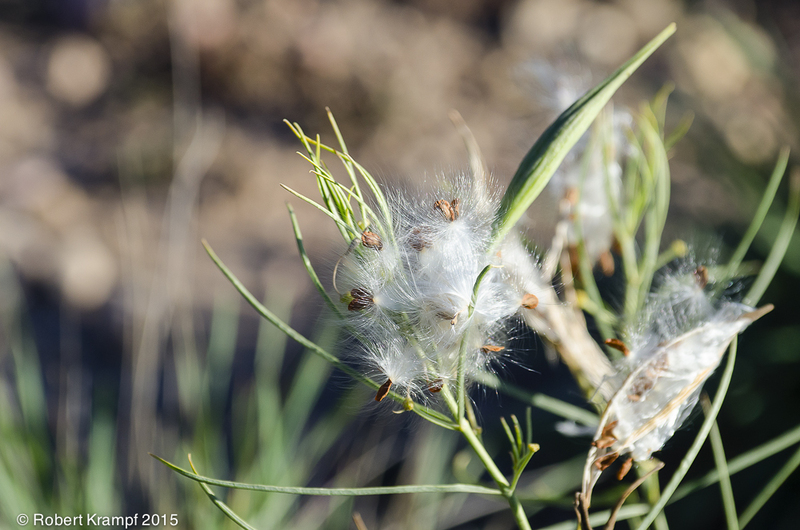 What is the function of the fluffy, white part of the milkweed seed? It protects the seed from insects. No. Insects could easily eat the seed, even with the fluffy top. It helps hide the seeds from birds. No. The white fluff actually makes it easier for birds to find the seeds, but the moving air from their wings also helps spread the seeds. No. The seed has already been pollinated before the fluff develops. It causes the wind to spread the seeds. Yes! The fluffy part of the seed acts like a parachute to let the seeds blow long distances with the wind. This spreads the plant's seeds over a large area. UT.6.V.1.b Compare characteristics common in observed organisms (e.g., color, movement, appendages, shape) and infer their function (e.g., green color found in organisms that are producers, appendages help movement). 3-LS4-2 Use evidence to construct an explanation for how the variations in characteristics among individuals of the same species may provide advantages in surviving, finding mates, and reproducing.